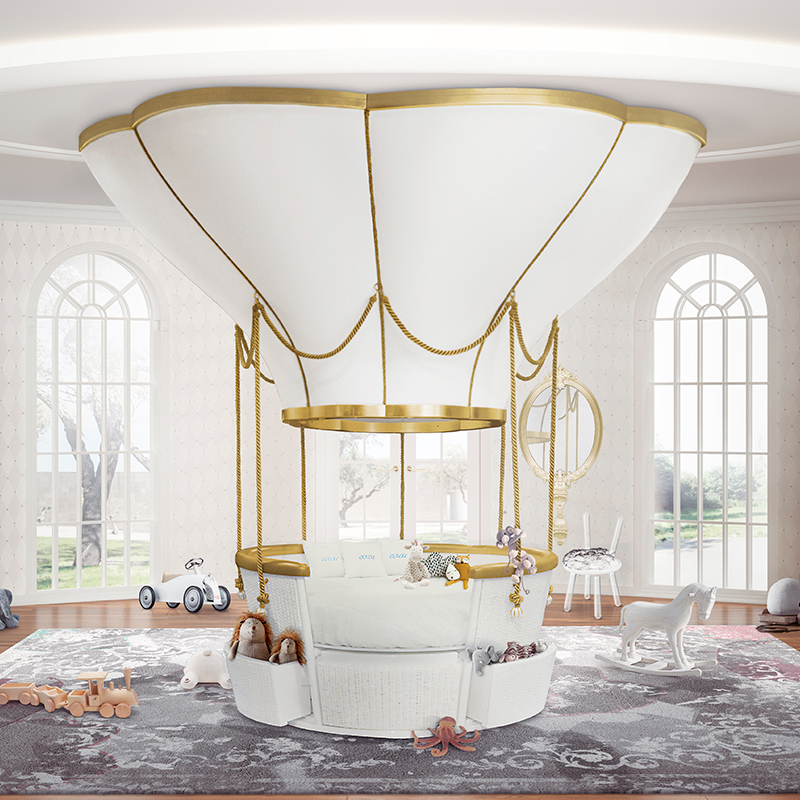 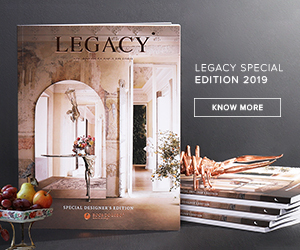 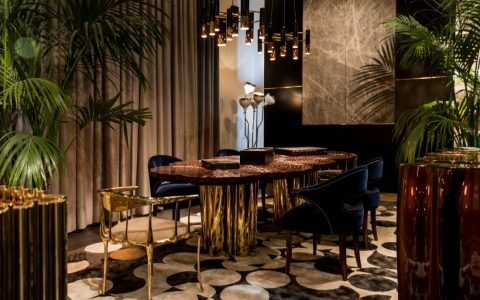 Design Limited Edition presents you the immersive Millionaire collection fine art pieces by Boca do Lobo, a luxury brand of modern furniture with exclusive design. 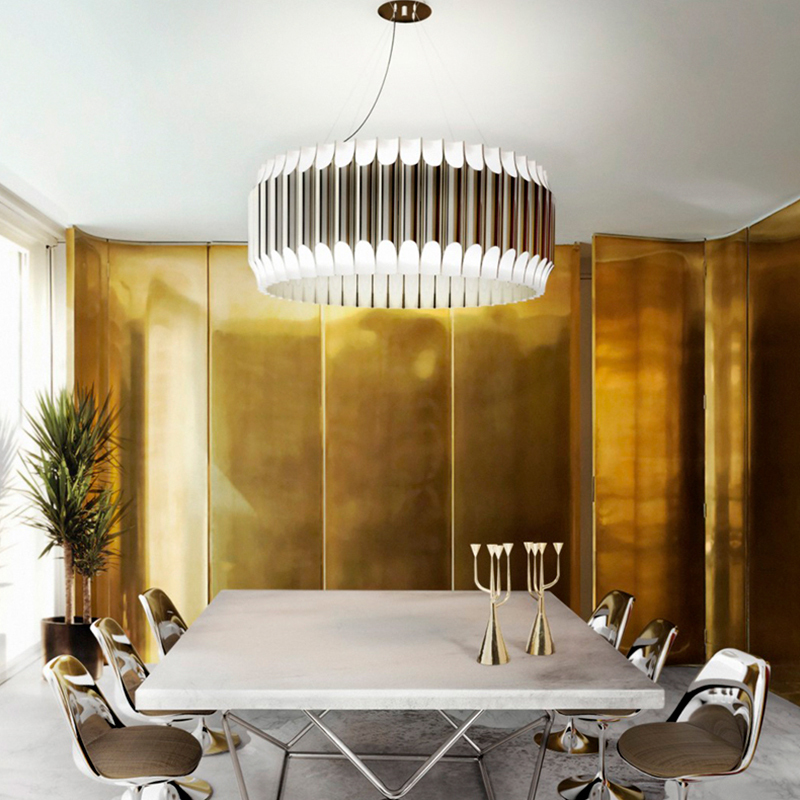 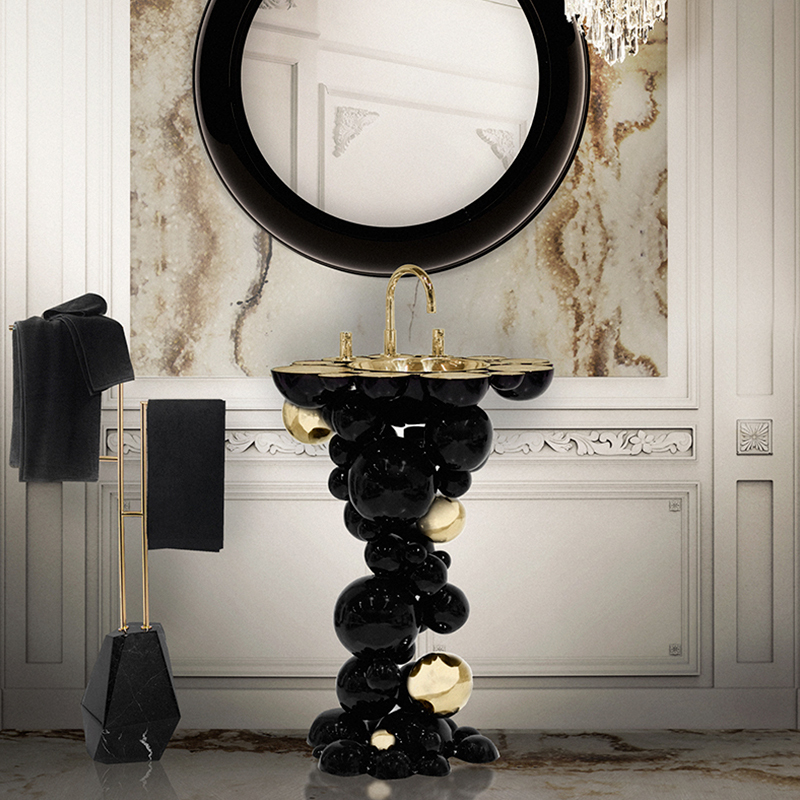 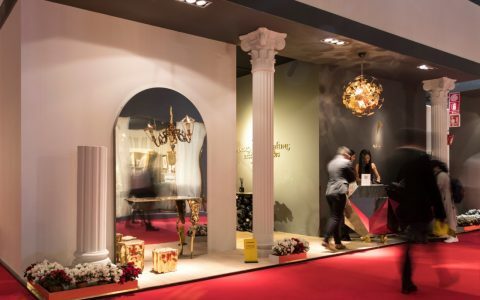 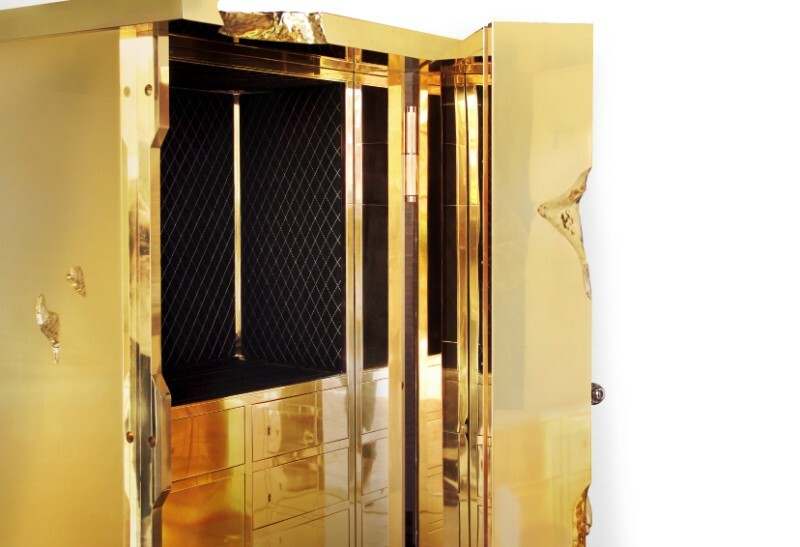 The experienced interior designers of Boca do Lobo went back to 1849 and inspired by the numerous bank robberies after the Gold Rush, designed an unbreakable safe collection with a unique design that stands out for its imposing presence – the Millionaire Series. 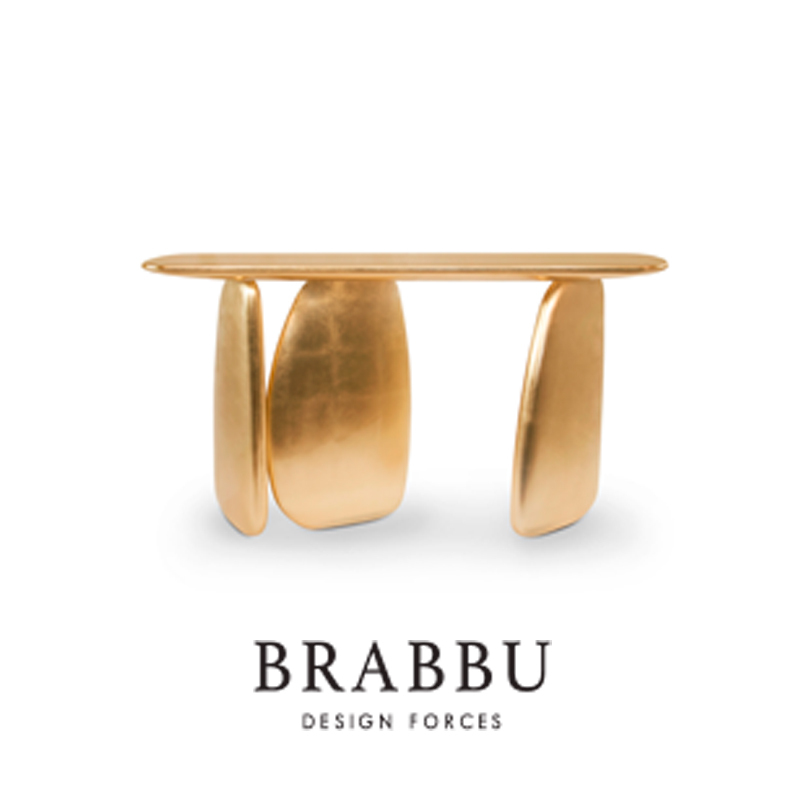 This unique family with contemporary design is a selection of statement, bold and gold pieces made by the exclusive brand. 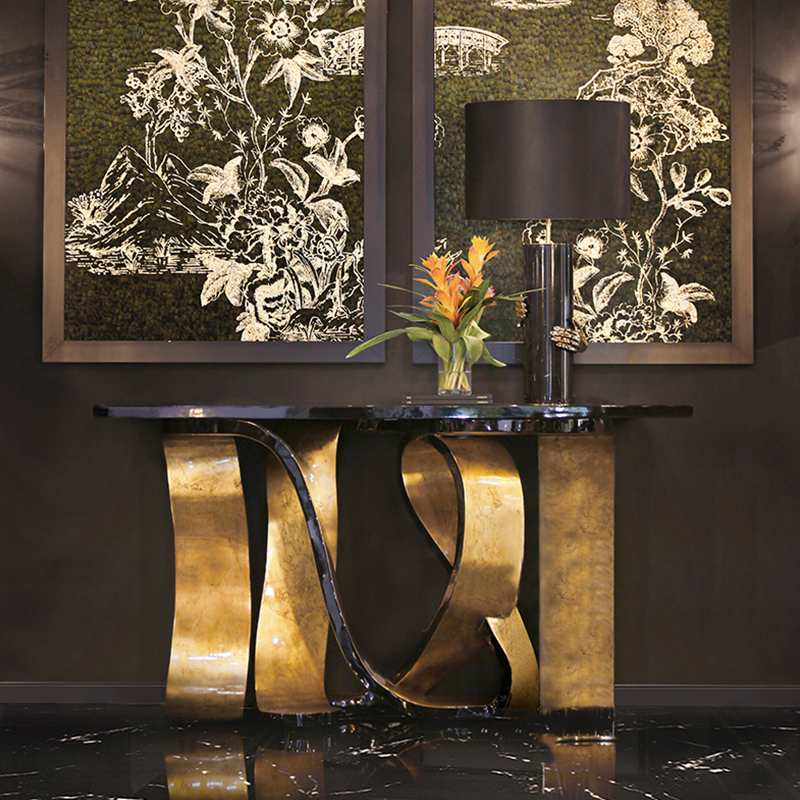 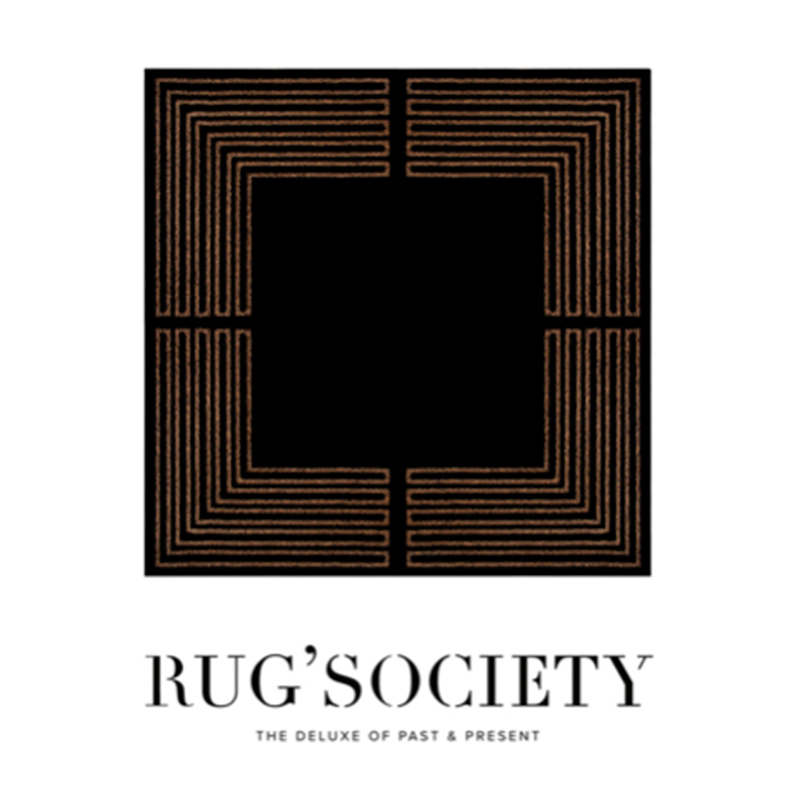 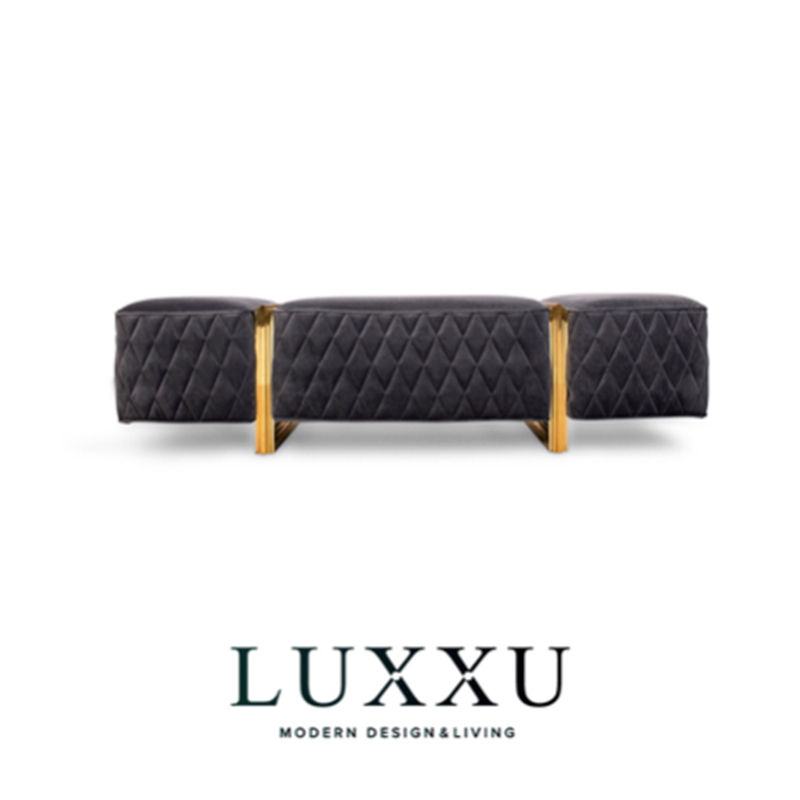 As part of the Private Collection, these exclusive furniture pieces were created for demanding clients, who possess fascinating secrets and the desire to preserve them. 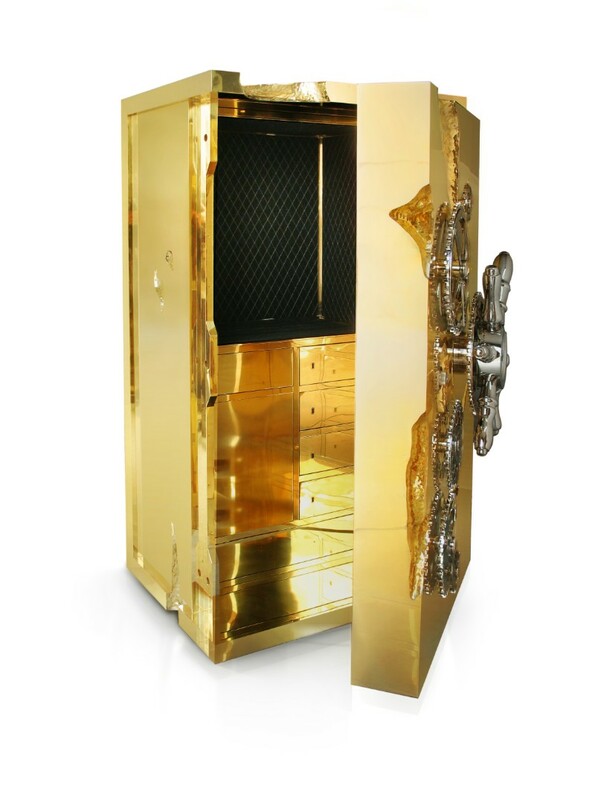 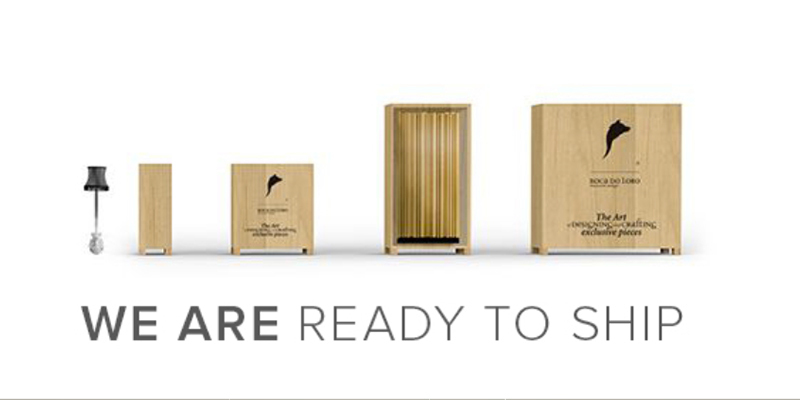 Therefore, one can save the valuable treasures inside these opulent safes, where they will be secure in their own secret place, their exclusive and unique world. 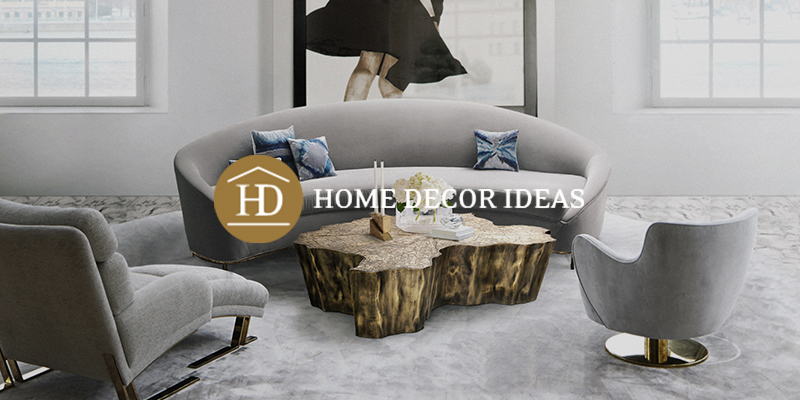 See also: Welcome to Covet NY, The House Of The Exclusive Design! 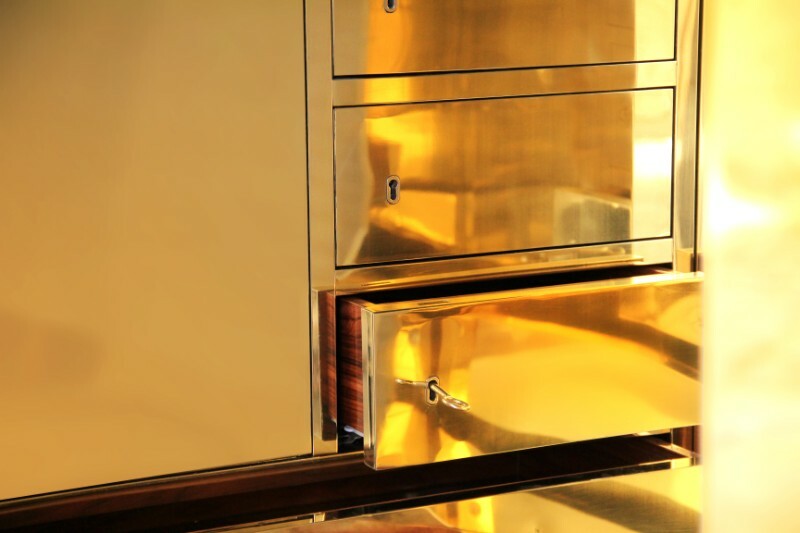 The Millionaire Gold Safe, the Millionaire Silver Safe and the Millionaire Jewelry Safe compose this mesmerizing family, tailored for the most sophisticated connoisseurs with a luxury lifestyle, as they are perfectly designed to put cigars or wine bottles, whiskey or jewelry inside and to make an impression while delivering an unmatched experience, the true apogee of delicacy. 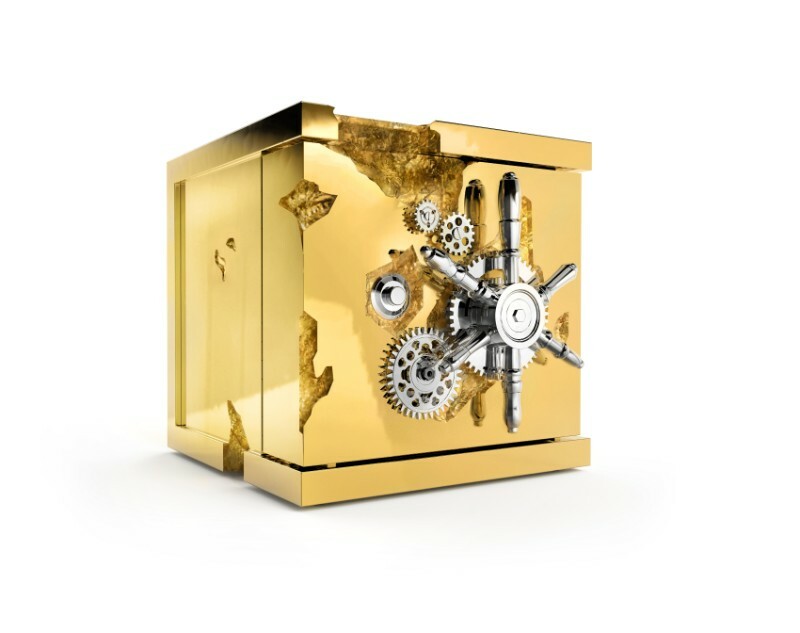 Influenced by the California Gold Rush, these Millionaire Safes are a luxury furniture statement pieces designed to cause an impression. 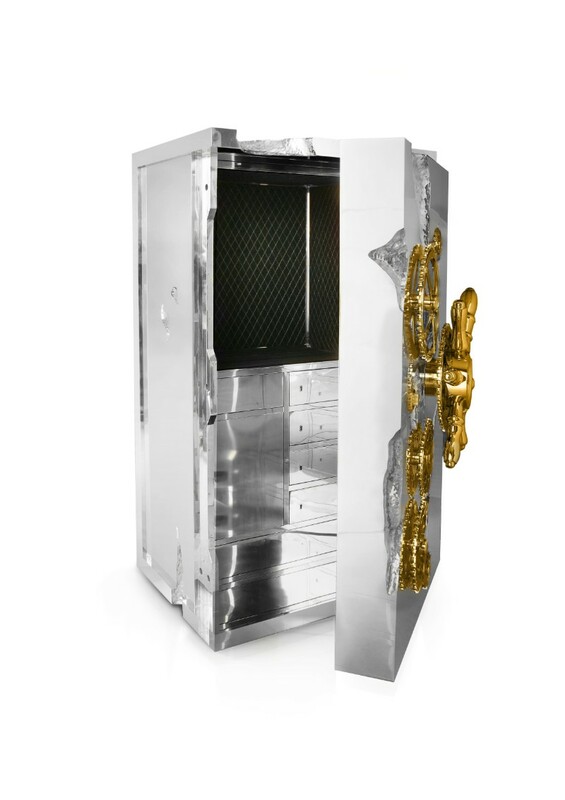 Built in a Mahogany structure and gold-plated polished brass frame with several dents, it sparks both interest and imagination reminding the vault robbery attempts in the old west. 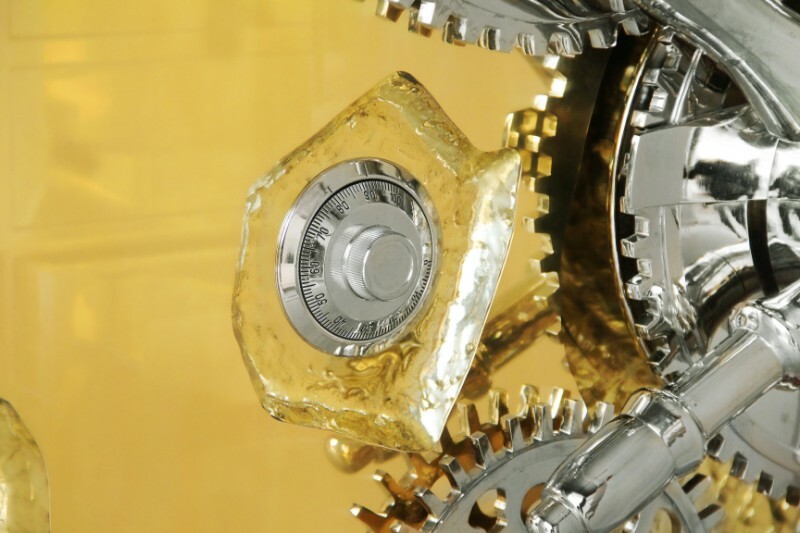 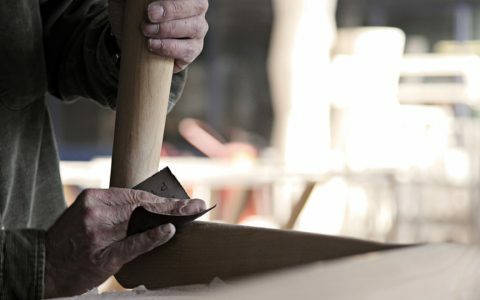 Handcrafted in Portugal and aiming to pay tribute to its rich maritime history, these contemporary safes are made from the finest materials and with the most exquisite techniques. 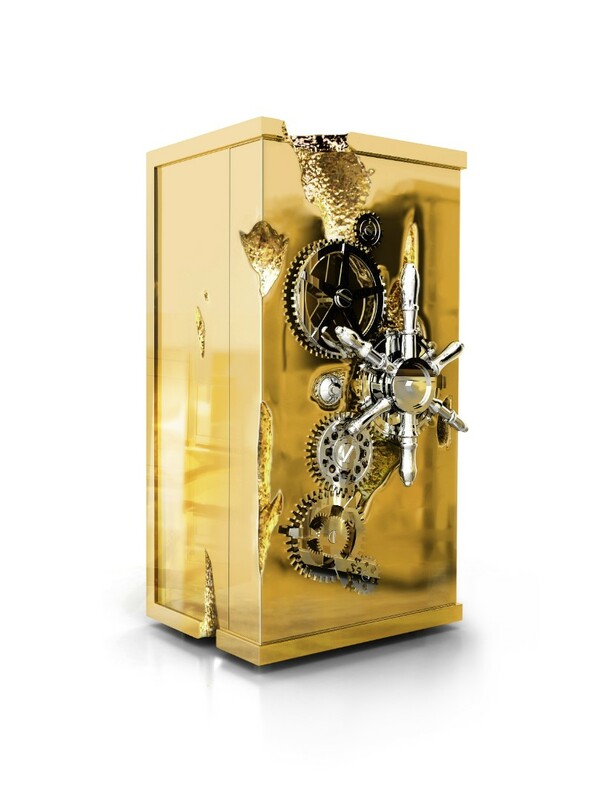 Moreover, the Millionaire Series from Private Collection may be unmistakably beautiful, but their purposefully flawed design not only offers an artistic projection but also makes a reference to the safe’s inherently impenetrable nature. 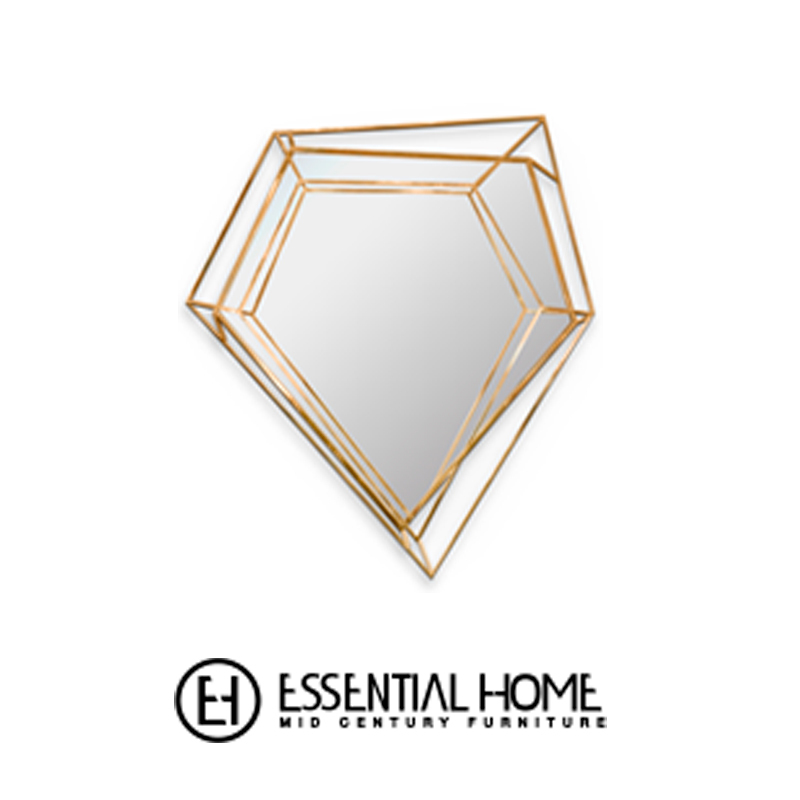 A small and portable version of the Millionaire Safe, the Millionaire Jewelry Safe is a craftsmanship statement piece designed to cause an impression. 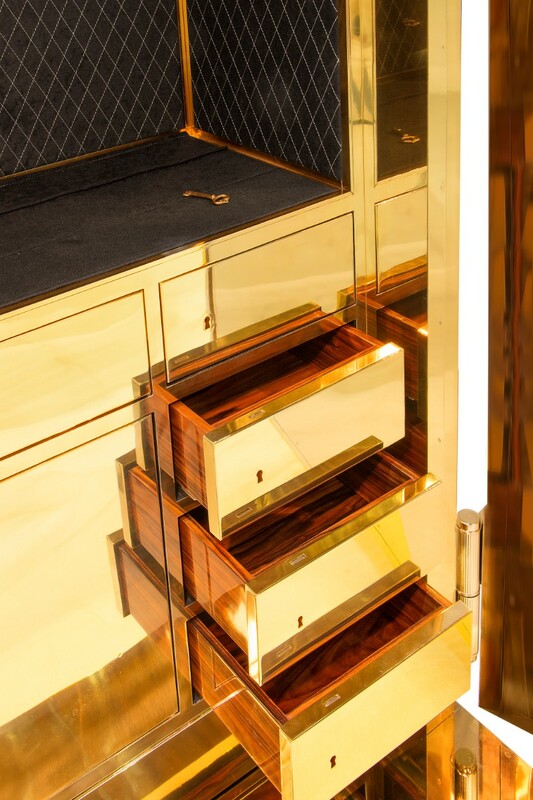 The overlay door makes room for an open space lined in velvet to keep the most treasurable items and luxury products, making it perfect to store valuable accessories, business items or other luxury lifestyle assets while causing an impression. 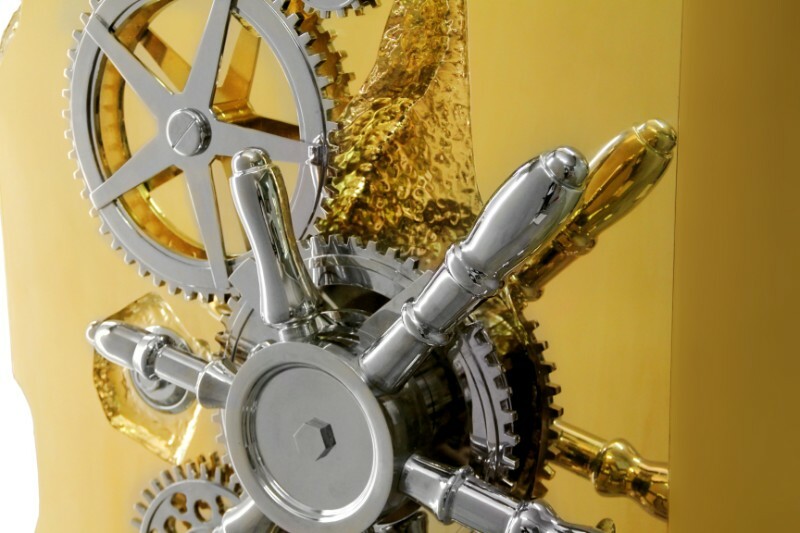 Whatever happens, those excellent pieces of art endure it all with the single aim of protecting what you value the most: not only your watches and jewels but all your deepest secrets and dearest treasures that may come to light only by time itself.